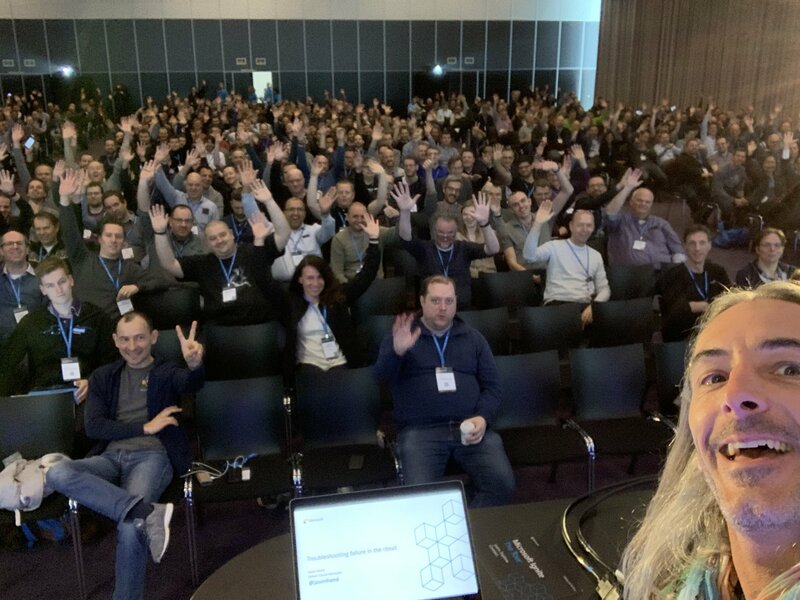 Part 3 of my second day of the Microsoft Ignite - The Tour conference in Amsterdam on Thursday march 21 in RAI Amsterdam. See my post on the first day here, part one and part two of the second day here. “There’s a spectacular deploy script in the Northwind Trader repo” - Couldn’t find it - @jdooley_clt is looking for it after I asked him via Twitter. 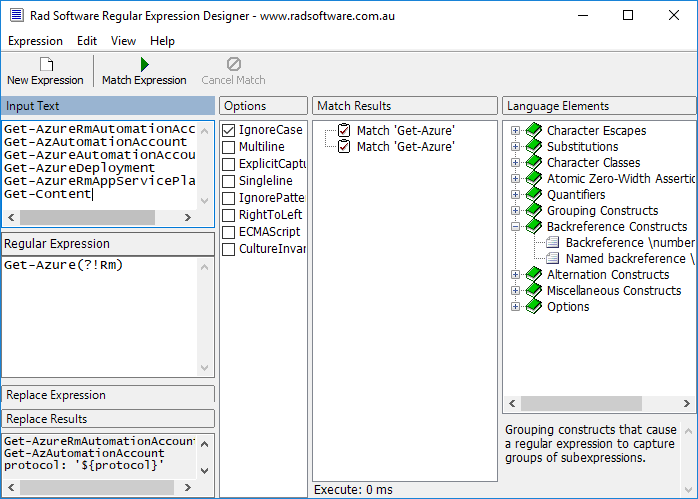 Azure Paired Regions: “Each Azure region is paired with another region within the same geography, together making a regional pair. Across the region pairs Azure serializes platform updates (planned maintenance), so that only one paired region is updated at a time. In the event of an outage affecting multiple regions, at least one region in each pair will be prioritized for recovery.”. We deploy many of our key apps across the two paired regions in Europe: North Europe and West Europe. That means that if for example a SQL Server update causes problems for one of our sites (which actually happened to us some time ago) we can direct all traffic to the region where the SQL Server update has not been applied yet! “Azure Front Door Service is Microsoft’s highly available and scalable web application acceleration platform and global HTTP(s) load balancer. It provides built-in DDoS protection and application layer security and caching.” Sounds like an alternative for Incapsula! Right now we are struggling with naming the two regions/environments that we’re deploying to: one is unnamed and the other is called fail-over (because that was the original plan - having an environment to switch to in case of an outage). Jeramiah showed me a better naming convention: primary & secondary. Mean Time To Recover (MTTR): On average (excluding outliers), how long does it take to restore service when a service incident occurs? Alert fatigue is a real thing, don’t do anything to cause that! Something Emily inspired me to try to organize: just like we have our yearly fire drill - collectively walking down 16 flights of stairs - we should practice our incident response! Just randomly break on of our dev environments and let the teams fix it ASAP without calling in the help of OPS. Award a prize to the team that has the lowest MTTR. Part 2 of my second day of the Microsoft Ignite - The Tour conference in Amsterdam on Thursday march 21 in RAI Amsterdam. See my post on the first day here and part one of the second day here. Thank you to everyone who came to my #SRE talks this morning. I had a great time chatting with you all. 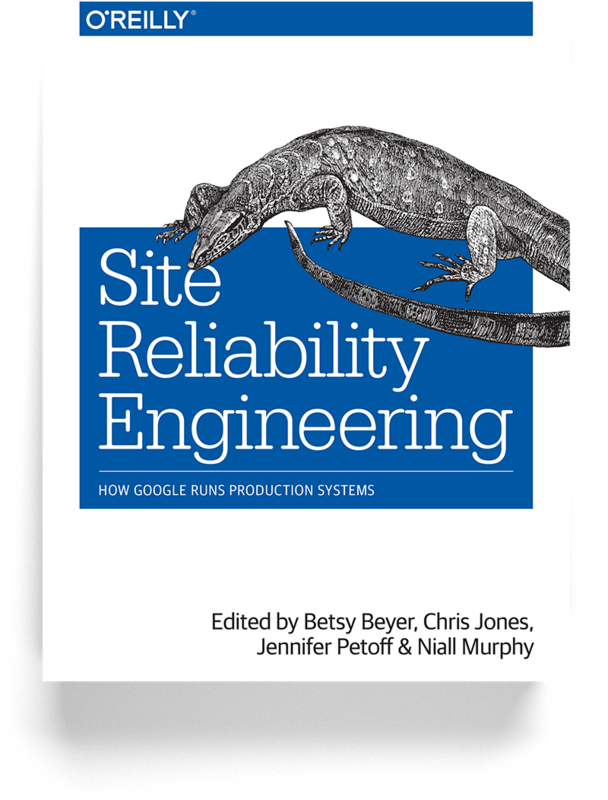 For those in the SRE30 session.. Besides some open doors (check if it’s only you via https://azure.microsoft.com/en-us/status/) his demo of creating alerts via Service Health was really interesting! 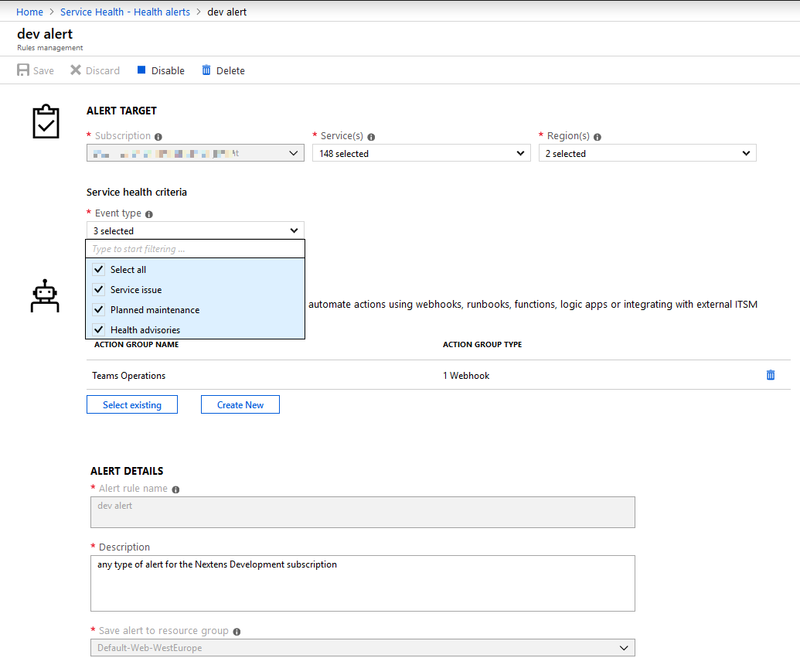 The “Service Health“ service (“Personalized alerts and guidance when Azure service issues affect you.”) - never been there! This part is not in the Powerpoint so I hope my notes reflect his points correctly! Looking at this demo (and the power of the Kusto query language) I made a mental node that I could use these whenever the log queries of our Management Portal let us down! Combine text, queries, metrics and parameters into rich interactive reports. The other two of the sessions of this day are covered in part three of this blog post. My second day of the Microsoft Ignite - The Tour conference in Amsterdam on Thursday march 21 in RAI Amsterdam. See my post on the first day here. Emily talked about the importance of small batches (when every release contains small amounts of new code the lines causing the problem are easier to find), but that got me thinking: doesn’t that introduce a new problem? 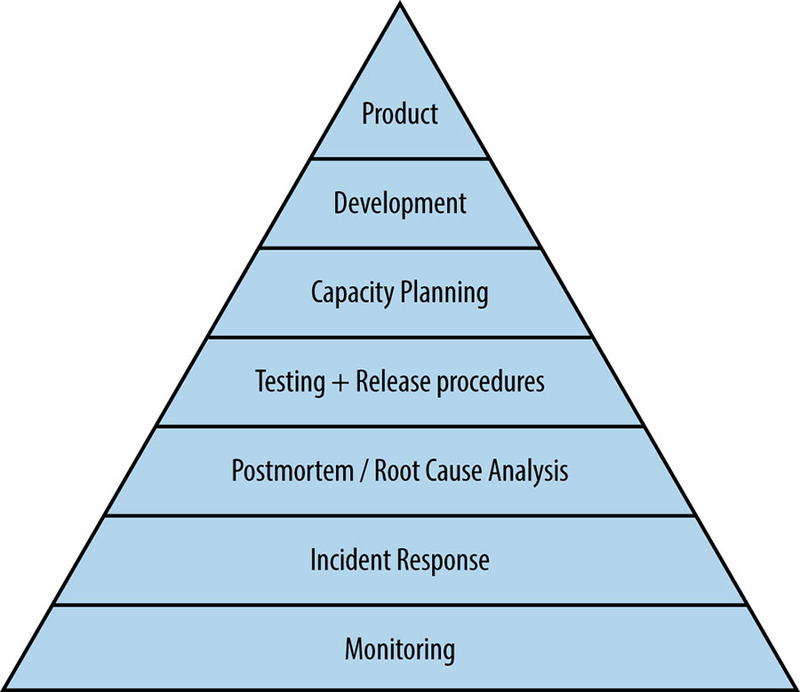 When you have many deployments in a short period of time how can you be sure which of these introduced the bug or regression? Demo: deploying Resource Manager templates from Azure Cloud shell. That’s also to be found in docs. What’s your definition of reliability? The same goes for SLI’s sibling: I know for sure I’ll be talking about “the SLI dropping below the SLO” in the years to come! “Don’t paint yourself into a corner by setting a too high a SLO” (based on historic performance - like the disclaimer in ads for financial products in the Netherlands warns: “results from the past are no guarantee for the future”). His demo of querying App Insights to return charts with an SLI dropping below the SLO at some points really made me want to go out and do those myself. One of the first things I thought of was using it for analytics for this blog, because I find Google Analytics to be almost completely unusable. It looks it’s only useful for tracking the sales your Google Ads have generated, and not very useful to see things like what posts get the most engagement. Bottom line: an alert is only useful when there’s someone who can do something about it, i.e. when it’s actionable. Don’t alert stuff that always fails, don’t alert stuff that succeeds. Jason demonstrated these principles in a demo where he showed how to have Azure send an automated voice call (“because Ï don’t wake up to e-mail”) when an SLO drops below an SLI. He also showed how you could at the same time send more context about the problem to a Teams Channel (containing the context with the 4 points mentioned above). That’s a very important point: not receiving beautifully composed actionable alerts might not be good news - it might mean that your monitoring is broken. So my third talk of the day was also by Jason Hand. Read about that in part two of this blog post! My first day of the Microsoft Ignite - The Tour conference in Amsterdam on Wednesday march 20 in RAI Amsterdam. See my post on the second day here. Microsoft is supposedly working on enabling caching of packages (like NuGet) in Azure DevOps Services builds. I think that this will take away one the advantages that builds running on our on-premises build servers have over running them on hosted agents. The new terminology for builds and releases (deployments) is “CI pipeline“ and “CD pipeline“. Viewing the YAML configuration that a CI pipeline runs on and saving it to your repository allows you to create a build that runs on that YAML file. Your build definition will live next to your code, and can be different across branches! When you create a CI pipeline from a YAML file you no longer see tasks in the definition (because it runs on a single file), but when you run the build the separate tasks will appear in the logs. I can see us using this a replacement for the build and release definitions templates that we currently store as JSON files in source control at Nextens. 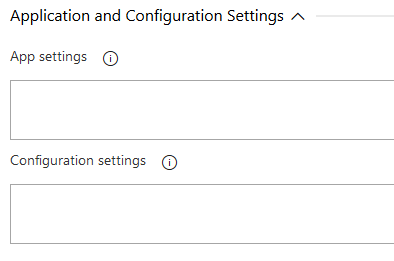 Another thing I noticed was the “Application and Configuration Settings“ of the release pipeline - that’s not in the Azure App Service Deployment task that we have on our on-premises Team Foundation Server 2017, and looks really useful! Something else that I can see us starting to use when we move away from code-first migration is the SQL Server Database Deploy that was demoed: it looks like you can do idempotent schema changes - Houssem talked of database schemas being compared - using a Dacpac generated as a build task. All in all: this talk was really useful and inspiring! 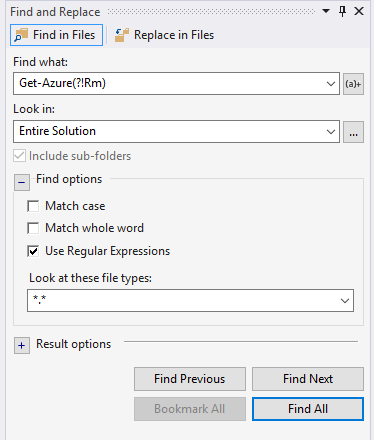 I saw Intellisense in YAML configuration in an Azure pipeline editor! Damian also showed storing the YAML build definition in source control. What I would like to know if there’s an option to replace tokens in those YAML files to enable using the same file across different development branches that deploy to their own dev environments in Azure (we currently have 6 of those for our dev teams!). I really liked the concept of having canary slots to deploy to as the last step before going to production. You configure to send a small percentage of your users to that slot, to have them test your latest release in production. When the canary environment works well you deploy to production. I really liked the concept of having someone sign off for a deployment to production: it’s done via a gate in the Pre-deployment conditions of a CD pipeline that runs on an Azure Function invocation. The Azure function sends a mail to a manager with a link to do a DocuSign, and when that’s done the release is triggered! I should try editing PowerShell code in Visual Studio Code. One of the things you can Azure Cloud Shell for is to test if the code only fails on your machine. Cloud Shell has session-bases filesystem, but you can also save files to its clouddrive which is persisted in a storage account. There’s Visual Studio Code-like editor in Azure Cloud Shell. Start it up with code ..
There’s an app for it! This talk was a disaster. Without any introduction the speaker showed slide after slide with seemingly random code samples. When he showed how to minify a CSS file using one of Mads Kristensen VS extensions - in a .NET Core talk! - I left. There wasn’t really an good alternative session, but I did see half of “Leveraging the power of Microsoft Threat Protection to secure the modern workplace across identities, endpoints, and more”, which was okay but not really useful for me. Artillery is a tool that you can use to run load tests. This part of the talk had a demo that got the first applause of my day: the upload of an image of a hammer to blob storage triggered an analysis of the image on the Computer Vision API which resulted in the text “close up of a tool” to be inserted in the “machine description” column of a table storage record. I did not have a look at Event Grid and Logic Apps yet but it looks really useful. 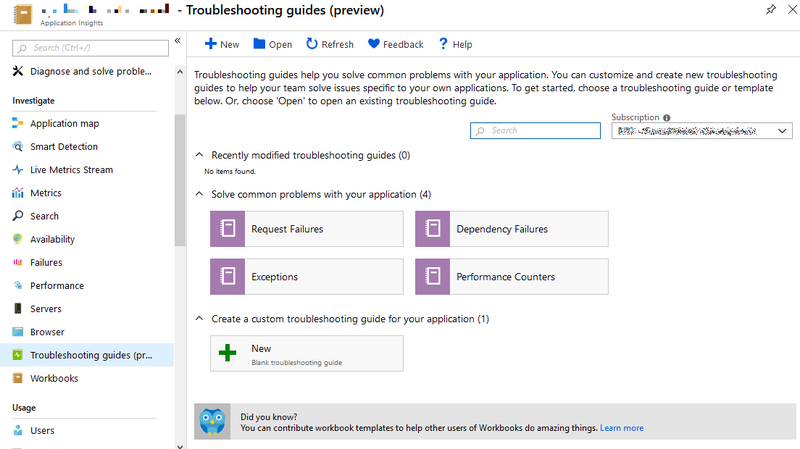 Great stuff for making hackathon demos to impress people too: creating events based of mails in a Gmail or Outlook inbox, a Tweet being posted, Azure infrastructure being provisioned (Azure Automation), webhooks. Durable functions are great for saving money when you have processes that spent most of their time waiting (Task.WhenAll). The organization is great. Only when I was in the queue to get into my first talk I overheard the people at the door scanning our passes telling them the two people in front of me that there were no more empty seats in the room, which caused them to leave. It turned out that there were ample empty seats scattered around the room, so that was a shame. Hearing people talk I noticed that there were a lot of nationalities at the event. So not only the Dutch are interested in anything that’s free! All my speakers today were male, and I estimate that less than 5% of the audience is female. Today I went to Rotterdam with my wife to visit three art fairs in one day. We were invited to the VIP openings for all three because of my wife being both an artist and an art collector. I brought a camera to take pictures of anything that piqued my interest. […] a new photography fair with a concept unlike any other. Haute Photographie is centred around a group exhibition, featuring works by the grand masters from the history of photography, to the youngest and most exciting young talents working with the medium today. Haute Photographie is a boutique photography fair with the allure of a museum. What we like about it that it’s at the same time both the result of a very conceptual approach to making art, and a very aesthetically pleasing dynamic work of art that we probably won’t grow tired of soon. 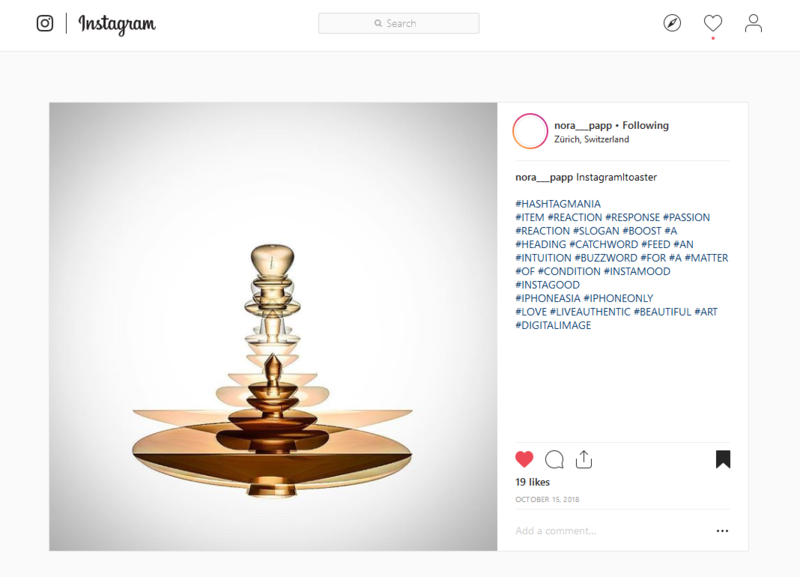 Inspired by Instagram, Nora Papp uses the deconstruction of a digital image to collect “aesthetic data”. Every digital image is divisible into luminosity, levels, brightness, contrast, texture, warmth, saturation, colour, highlights, sharpness, creation and reproduction, distribution, storage. With the help of imaging software, she uses the data she collected from Instagram images. The choice of combining or applying these elements in a certain way, while listing the values that she considers artistically significant, creates a new abstract image. Nora Papp graduated from the Gerrit Rietveld Academy, Amsterdam in 2018. Hellen van Meene showing something on her phone to Roy Kahmann (probably pictures of her dogs 😉) with the work of Nora Papp in the background. Does this work look like a Hellen van Meene or is it just me? Two older works made in Korea by our friend Julia Fullerton-Batten and two works from her super-ambitious Old Father Thames series. These faithful copies of famous paintings are not my favorites from that series: I like the re-enacted events related to the river Thames found in old newspaper more. A detail of a work by our friend Carla van de Puttelaar that features a marble-like fabric which might indicate a (shared) love of the work of the Baroque style of sculpture by Bernini. A wall of works by Kahmann Gallery poster-boy and Alkmaar (Hellen’s hometown) citizen Bastiaan Woudt. It’s quite likely that no hardworking taxpaying citizen’s euros were spent on supporting this fair. The ground floor of the Cruise Terminal at the Wilhelminapier was dedicated to the work of 15 artist who graduated in the last 5 five year. I liked this work by Quinda Verheul. It looks like it’s just made from mirror, sand and light, and could be made by any of your nephews, but hey: they don’t think of making anything like this! Twenty-five galleries showing two solo exhibitions each. I hate the name of this fair. I don’t know to pronounce it (“quade”? “kaa-duh”? ), and “Qontemporary”? Come on! Francois du Plessis - Book Objects. I loved this! It worked on many levels - only when you got real close you could make up how it was made. Two nice intricate skulls by our friend Carolein Smit. A view of a rainy and misty New Meuse river and Erasmus Bridge from the Cruise Terminal at the Wilhelminapier. Art Rotterdam is the biggest contemporary art fair of the Netherlands. The location is the great Van Nelle factory. When we arrived at this fair we first had to drop off my wife Hellen van Meene’s polaroids at We Like Art, but thankfully this year they were inside of the fair just left of the entrance! You can buy this one of a kind instant photo (yes, it’s not really a multiple of the kind We Like Art sells - you buy a unique photo of a series of many taken of one of our daughters lying in our bathtub surrounded by flowers). Hans Houwing. They look like Bic pen drawings and that’s all I need. Robert Barta - 100 years, 2019 (electric motor, lead battery, magnets, beer coaster, classical foldable table, 80 x 113 x 50cm) at Rutger Brandt Gallery. It’s a typical Dutch round paper beer coaster magically rotating on top of a vintage table. A work and a close-up of a work by our friend Awoiska van der Molen (silver gelatin prints). Hellen van Meene posing with Katja Mater - one of her models in the early days her career - who was an our later to become the winner of the NN Group (a too big to fail Dutch financial giant) Art Award 2019! 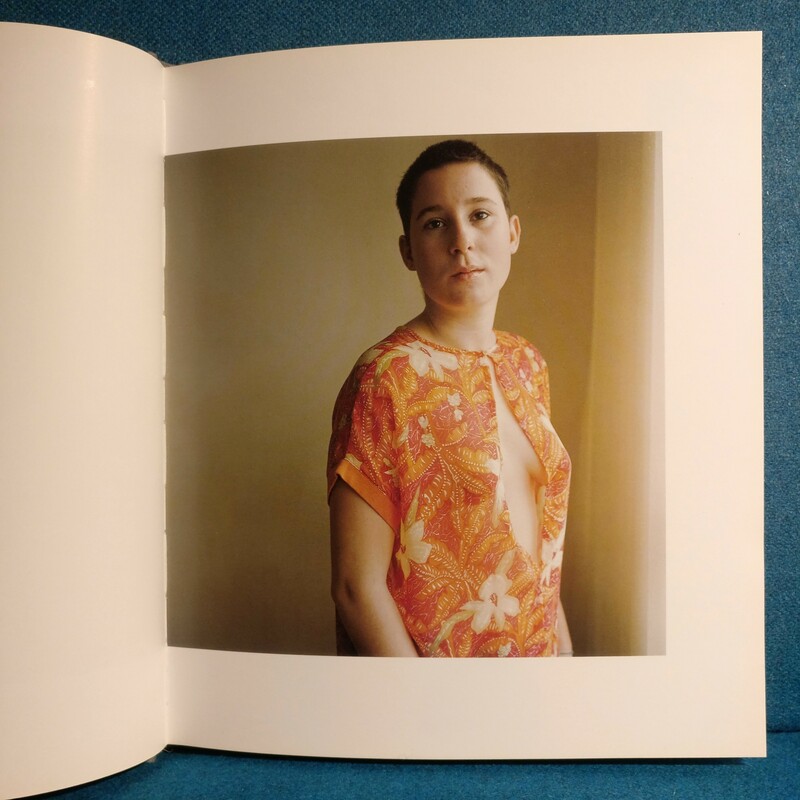 A page from Hellen van Meene’s first monograph (sought after by collectors, especially since it appeared in ‘The Photobook, A History Volume II’ by Martin Parr en Gerry Badger) featuring a portrait of Katja Mater. Johan De Wit. It’s paper, but it doesn’t look like it. We are close to buying one of his works. A work by an unidentified artist, but emblematic of a lot of other works featuring weaving. The Van Nelle Fabriek is a great place: my photo. That’s the end of part one. Part two coming soon! Last week I was on the road with my wife to the south of Netherlands and Belgian Limburg, and along the way we decided to stop at a thrift store in Zaltbommel that was just of the highway. Cat Ranja checking out the stack of records bought in thrift stores during our trip to the south of Netherlands and Belgian Limburg. In that store I encountered a crate digger’s dream: an untouched complete collection of records owned by someone with great taste, dumped in the €0.50-a-record crates of a second hand store. 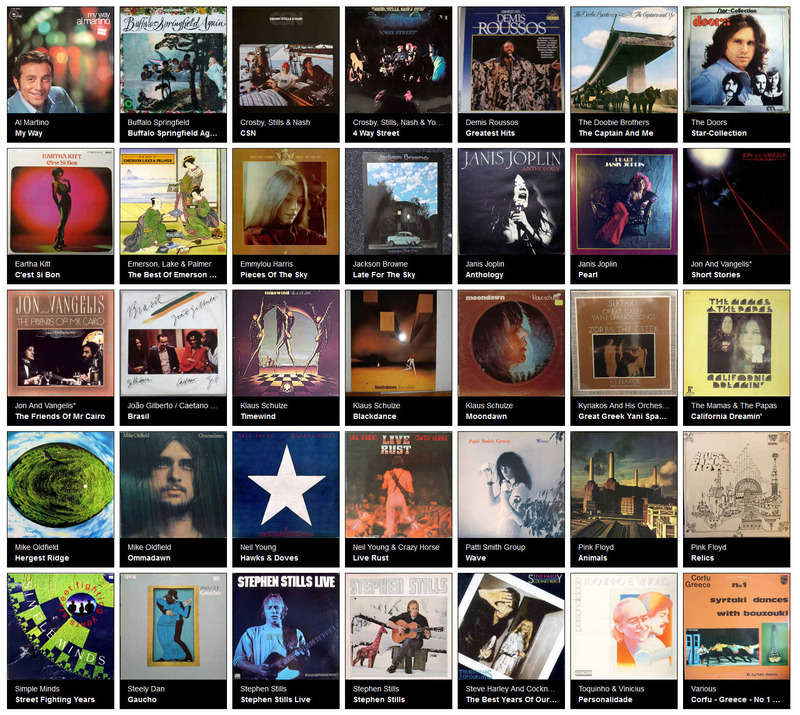 The collection could be recognized by small stickers with a catalog number written on it and contained mainly 60’s-70’s Blues/Classic/Country/Folk Rock, but also some Psychedelic and Prog Rock, some Ambient and even New Wave: Buffalo Springfield, Crosby, Stills & Nash (& Young), The Doobie Brothers, The Doors, Emerson, Lake & Palmer, Emmylou Harris, Jackson Browne, Janis Joplin, Jon And Vangelis, Klaus Schulze, The Mama’s & The Papa’s, Mike Oldfield, Neil Young, Patti Smith, Pink Floyd, Steely Dan, Stephen Stills, and Steve Harley And Cockney Rebel. All of the records I bought at De Spullewaard. Seven records are not from the collection with the small stickers, like Al Martino, Eartha Kitt, Simple Minds and the two records from Brazil. The funny thing was that a regular customer of the store, who was going through the stacks of b-movie DVD’s, asked me somewhat derogatorily whether there was anything in those crates that he had long ago stopped looking at because they only contained “James Last & friends records”. I told him there was, and when he saw me picking up record by record he started paying attention. 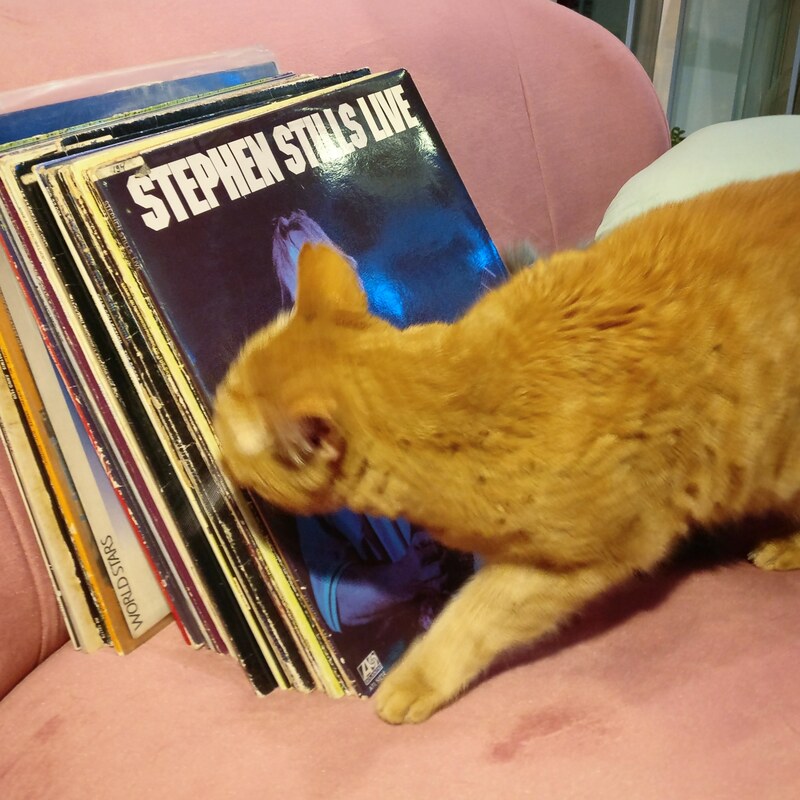 When he saw me putting a Crosby, Stills And Nash record on my stack he could not keep himself from saying that he was looking for that record for a long time. So based on the median price I should have paid more than 12 times the amount I had to pay. That’s a pretty good bargain! Going to other countries is interesting but not essential to my art. Most (if not all) that I need can be found within walking distance of my home. When traveling I regret the loss of a sense of change. I see differences not changes. Change is best experienced by staying in one place. 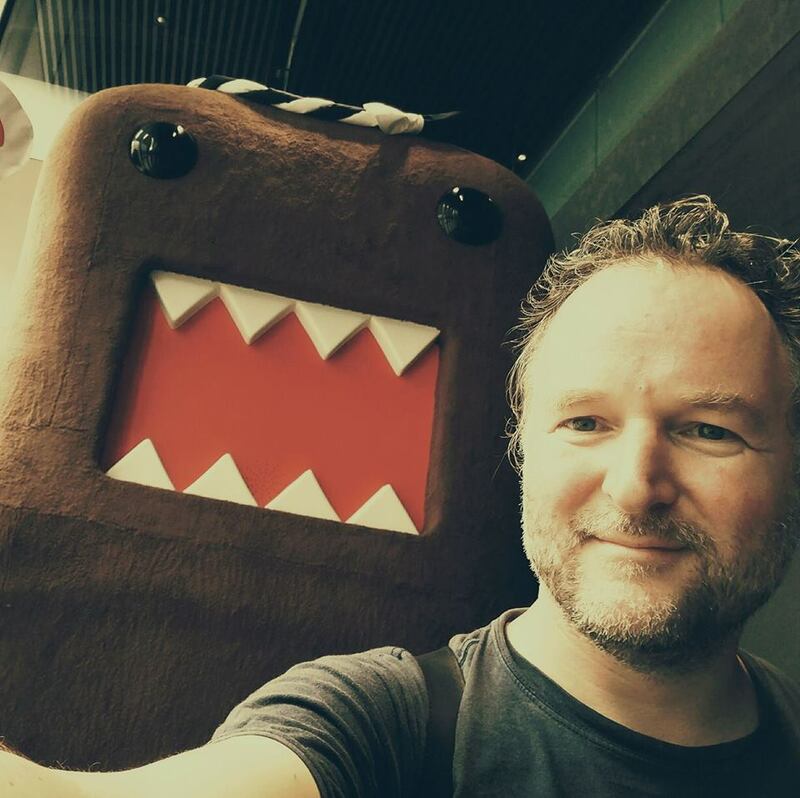 When the NewmanPostman_VSTS_Task tries to run AppData\Roaming\npm\node_modules\newman\bin\newman.js instead of AppData\Roaming\npm\newman.cmd ensure that the PATH environment variable for the user that the builds run on has C:\Users\[BUILDSERVER-USERNAME]\AppData\Roaming\npm in it, and reboot the server after that. I’ve already spoiled the ending of this blog post in the section above so the following is only interesting for people who like to know how I - despite starting with looking in the wrong place - managed to find a solution. … it opened the newman.js file in Notepad, instead of running the command! run [options] <collection>  URL or path to a Postman Collection. This did not change anything, so I decided to reboot the build server. That did not change a thing too. I then decided to search everywhere for “change the file type” and clicked “Change the file type associated with a file extension”. There I noticed that .js was still associated with Notepad! I decided to change the association to “Microsoft ® Windows Based Script Host”, because the .jse extension had that too. There is no script engine for file extension “.js”. So I tried another reboot, once more without success. I decided to have a look at our Development build server, where Newman was running correctly. There everything looked to be set up in the same way: no file association according to assoc .js, associated to “Microsoft ® Windows Based Script Host” according to “Set Associations”, and no mention of Newman in Environment PATH variables. ##[error]Unable to locate executable file: ‘newman’. Please verify either the file path exists or the file can be found within a directory specified by the PATH environment variable. Also verify the file has a valid extension for an executable file. With that information I decided to have a look at the PATH variable in the Environment Variables of the Development build server: no mention of Newman there too. And nothing related to npm or newman in the system’s Environment Variables. 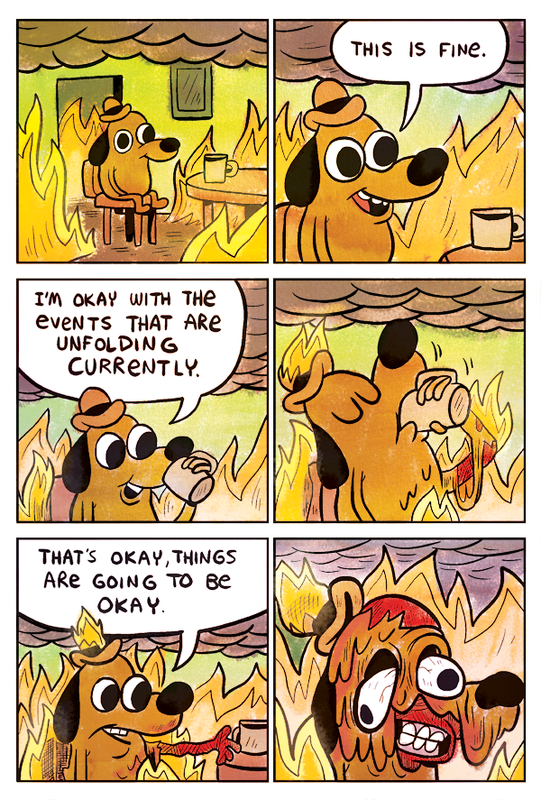 And nothing related to npm or newman in that system’s Environment Variables too. Looking at those difference I decided to try to add C:\Users\[BUILDSERVER-USERNAME]\AppData\Roaming\npm to the PATH variable for the [BUILDSERVER-USERNAME] user. Tried the build again but it still failed with Unable to locate executable file: 'newman'. Time for a restart. That finally did the trick! So I was looking in the wrong place all the time: it wasn’t a problem with running .js files, it was actually a problem with the wrong command being run. Don’t be fooled by the task executing newman.js but not running any test, and don’t go on an expedition trying to fix that! This is our Christmas card for this year. We’ve also sent out luxury hard-copy postcard version to 50 lucky people. Do you still send Christmas/New Year’s cards? 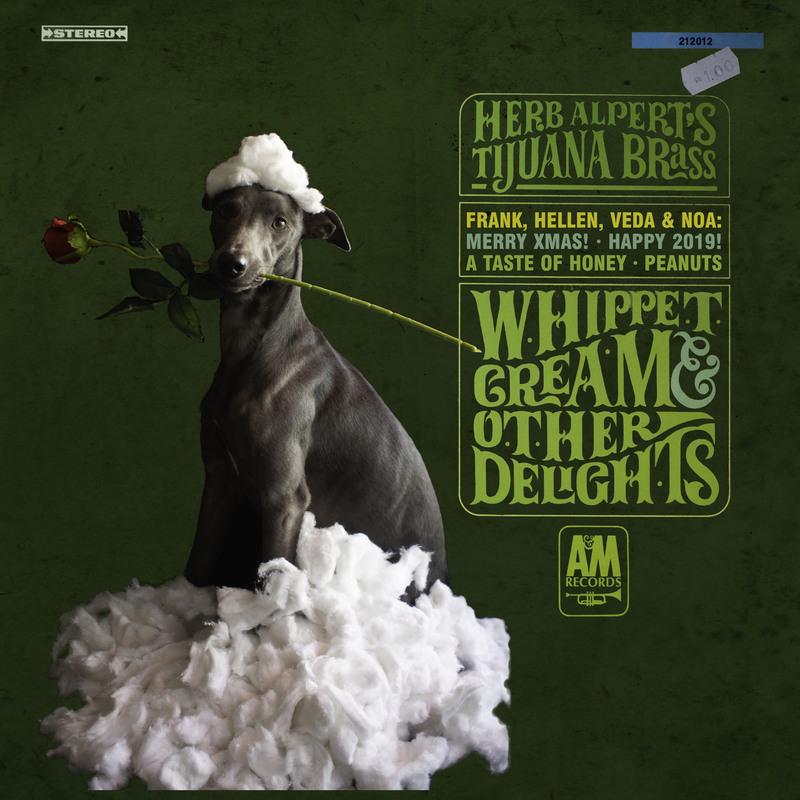 The original album title is “Whipped Cream & Other Delights” which was punningly changed to “Whippet Cream”.